The countdown begins to the biggest and richest grass harness race meeting of the year! This is the 5th year of The RJM which honors our dear departed friend “Red” John O Donovan whose untimely passing in 2015 is still lamented by all who knew him. 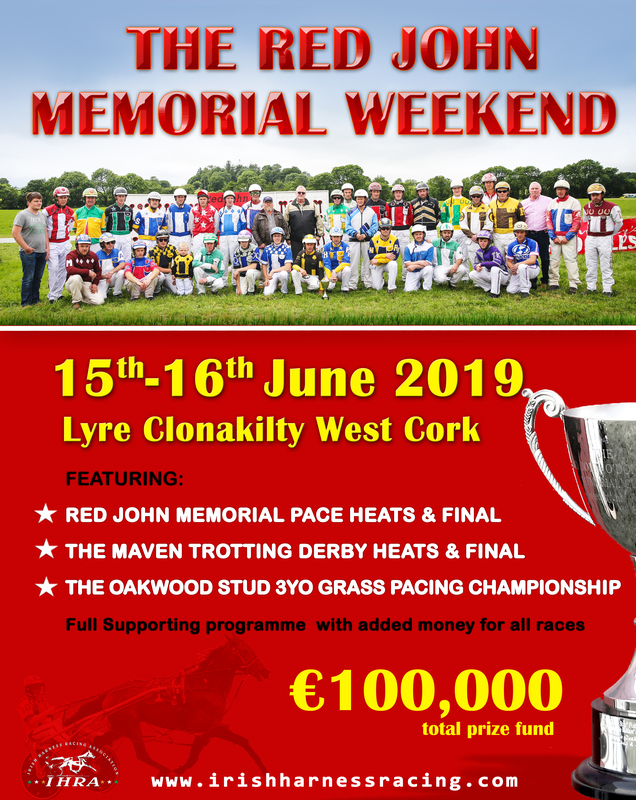 Many thanks to the friends of the late Red John our main sponsor Bill Donovan from Florida USA (Who by now is an honorary Corkman), all supporters and generous sponsors. We look ahead to June 15th &16th and look forward to one of the most competitive and exciting weekends for racegoers and their families.